blues and greens, watery, cool, thin and drapey. 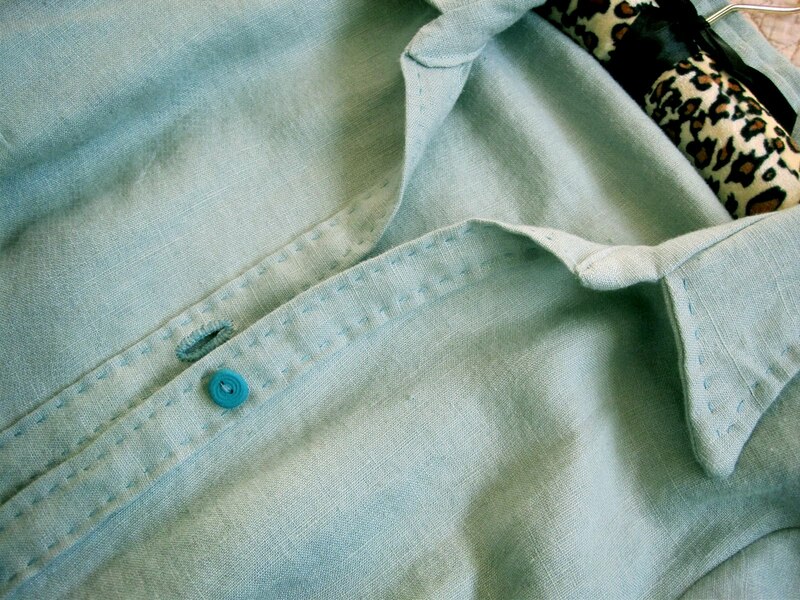 I’m still in love with my blue linen duster with the hand sewn buttonholes and hand made buttons. The other stitchery may have to wait a while longer. I’m indulging almost all my whims. That's just the sort of feeling this blue linen gives, fresh and light. I love wearing it!